Paint sludge dewatering, filtration and removal systems have become essential due to the vast amount of manufactured goods that are painted. Today, paint sludge dewatering, filtration and removal systems can be custom engineered to fit into your specific water wash paint booth line. Dewatering, filtering and removing paint sludge from your paint booth system will help reduce your operating costs and help optimize the efficiency of your process. CentraSep Centrifuges offers paint sludge dewatering, filtration and removal systems for single booth as well as multi-booth designs. The CentraSep paint sludge processing system drastically reduces the regular maintenance needed for industrial water wash / water curtain paint booths. By properly filtering paint sludge from your water wash paint booth water, you can maintain cleaner fluid, reduce the need for purging chemicals, and maintain dependable production by eliminating manufacturing downtime. CentraSep Centrifuges installed their first paint sludge dewatering and removal system in 2000. Since that time, CentraSep Centrifuges has become the preferred solution for filtering and separating paint sludge and is considered part of the “Best Practices” of many production line spray painting facilities. 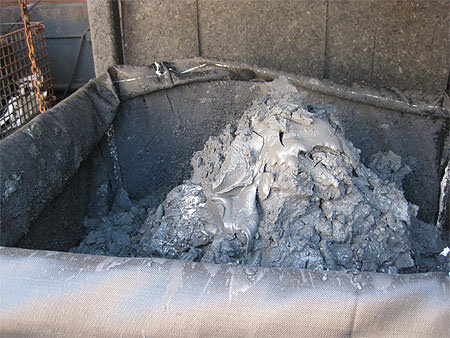 CentraSep Centrifuges is the proven leader in paint sludge dewatering and removal. Since 1981, CentraSep Centrifuges has specialized in solving problems through application engineering. Nowhere is this problem-solving approach more apparent than with our centrifuge systems, which were developed after listening to customer challenges and needs with the filtration, separation, and maintenance issues involving water wash / water curtain paint booth water. Contact us today to see how CentraSep Centrifuges can help you with your paint sludge dewatering and removal needs. Talk to one of our Engineers today to see how we can help with your paint sludge dewatering, filtration and removal needs.